Stephen Bonga was part of a prosperous Minnesota fur trading family, the first African American residents of that state. Fluent in Native American languages, Stephen and his brothers traveled as translators and voyageurs throughout the upper Great Lakes region of the Midwest. Bonga was born in June 1799 on the shores of Lake Superior in the area joining present-day Duluth, Minnesota and Superior, Wisconsin. He was the son of Pierre Bonga and his Native American Ojibwe wife, Ogibwayquay, and he was grandson of Jean and Marie Jeanne Bonga, who had lived as slaves at the fur trading depot of Michigan’s Mackinac Island. As a young man, Bonga was sent to Albany, New York to become a Presbyterian missionary. Although he later left the seminary to join the family fur trading business, Stephen was known throughout his life for his piety and in 1881 helped organize the Methodist Episcopal Church in Superior, Wisconsin. Stephen Bonga, along with his brothers George and Jack, are listed as American Fur Company representatives visiting the Grand Portage fort along Lake Superior during the winter of 1823 and 1824. Stephen was a clerk for the company until 1833 and traveled frequently along the upper Midwest’s trade water routes. Like his brother George, Stephen was often called upon as a translator assisting with native and non-native communications. In 1837, he served as the interpreter at Minnesota’s Fort Snelling for Wisconsin Territory Governor Henry Dodge, who was trying to negotiate peace between a band of Ojibwe and a band of Dakota. 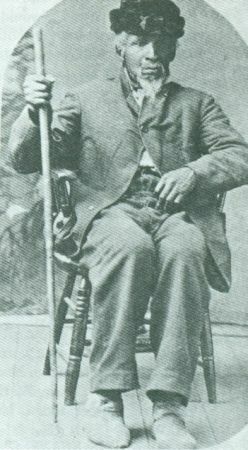 And during the bitterly cold December of 1850, Bonga and his Ojibwe wife were part of a band of 3,000 Lake Superior Ojibwe who traveled 500 miles from Wisconsin to Minnesota’s Sandy Lake to receive annuities promised them by treaty. The meeting place was a disguised effort by the government to force the tribe to permanently relocate. With no provisions, the tribe returned home without their payments, losing more than 400 members to hunger or exposure. As an expert voyageur, in 1857 Bonga was asked to guide artist Eastman Johnson through the Lake Superior region to paint Ojibwe people and their land. The tour included present-day locations of Grand Portage National Monument, Apostle Islands National Monument, and Isle Royale National Park. The resulting oil paintings, charcoals, and pastel drawings have gained renewed interest recently through national exhibitions. Stephen Bonga died in near his birthplace in 1884. “Letters on the Fur Trade,” Minnesota Historical Collections 37: (1910):132–206; Teresa A. Carbone, Eastman Johnson, and Patricia Hills, Eastman Johnson: Painting America (Brooklyn Museum of Art, 1999); Henry Schoolcraft, Henry R. Schoolcraft's "Narrative Journal of Travels", edited by Mentor L. Williams and Philip P. Mason, (East Lansing: Michigan State University Press, 1992); William Warren, History of the Ojibway People (St. Paul: Minnesota Historical Society Press, 1885); Martin Hintz, Wisconsin Portraits: 55 People Who Made a Difference (Black Earth, WI: Trails Books, 2000).